Place the dates in a bowl. Cover with boiling water and soak for 10-15 minutes. Remove the dates from the soaking water (save the water for later) and peel them. Place the flesh in a food processor and blend until smooth and lump-free, adding a bit of the soaking water if necessary. In a small saucepan, combine the oats, water, ground almond and cane syrup. Cook for 2-3 min or until it thickens. 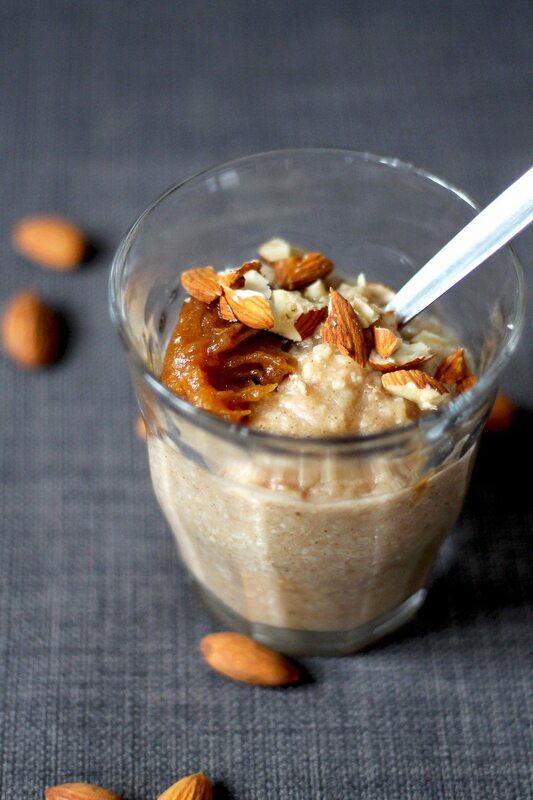 In a glass, layer the porridge and date caramel, top with a light sprinkle of chopped almonds and serve immediately.